Relenta automatically generates a timeline for each contact. It includes all sent and received email, completed and pending tasks, notes and files, invoices, and pending and scheduled email marketing templates. You can open each line-item for preview without leaving the page. 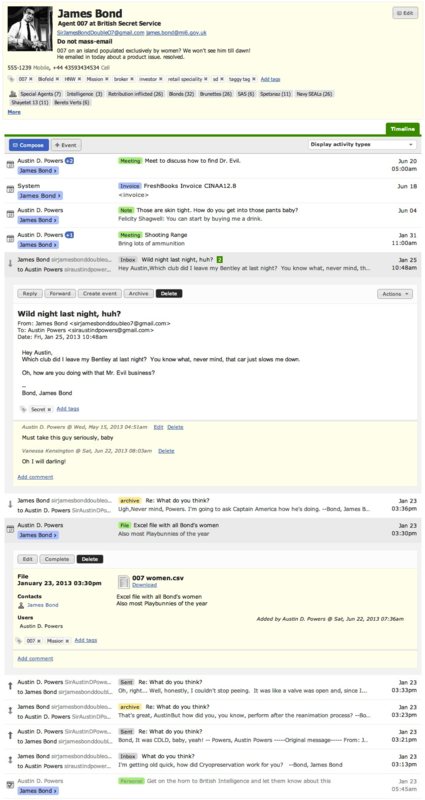 The Contact Timeline is shared among your team in real time. This puts everybody literally on the same page.